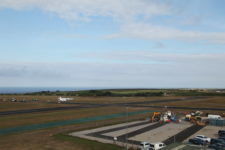 The Isles of Scilly Council awarded Lagan Aviation & Infrastructure a £2.3 million contract to upgrade the runway at Land’s End. The 16 week project included the hardening of Runways 07/25 and 16/24, which were 18m wide, using soil stabilisation and asphalt including the installation of Asphalt Taxiway and the installation of Grass Grid Taxiway. 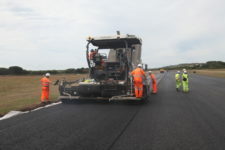 Drainage works included the surface water drainage including interceptors/attenuation/balancing pond and concrete and poly drainage and associated silt trap manholes. Airfield Ground Lighting and associated civil engineering activities was undertaken to enable installation of runway edge lights, runway end lights, threshold lights, PAPI’s, signs, wigwags, windsock and suitable control system. 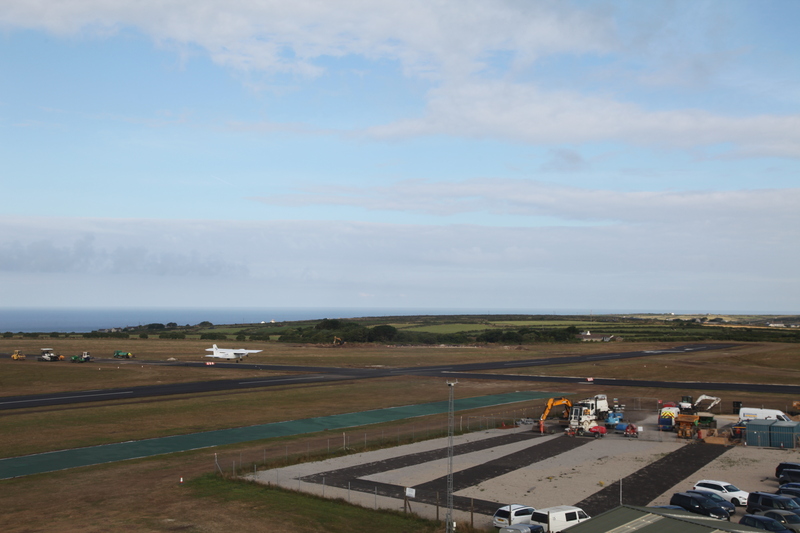 Line markings were completed on the runway, the rehabilitation of 75m safeguard strip and resurfacing and extension of existing apron was also carried out.